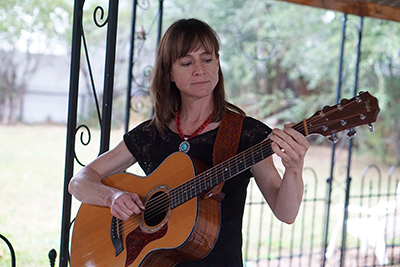 Shupe demonstrates her ability to collaborate with this batch of multi-dimensional songs and hone in on the beauty and complexity of Americana, folk and bluegrass. Salt Lake City’s Tara Shupe started playing mandolin at age four and took the stage of the Telluride Bluegrass Festival for the first time by age 16. Whether it’s her triple threat octave mandolin, claw hammer banjo, and guitar solo shows and her high energy band performances, Shupe is creating a new flavor of Americana planted firmly in roots music, with subtle pop sensibility and a whole lot of soul. Salt Lake City’s Tara Shupe started playing mandolin at age four and took the stage of the Telluride Bluegrass Festival for the first time by age 16. Releasing her first solo indie-Americana album in spring 2018 Shupe set out to match the world class musicianship of her studio musicians locally, and Tara Shupe and the Ponies was formed. Heading up the band on guitar, mandolin, and lead vocals, Tara brought in her brother and life-long music collaborator Daron on banjo, Megan Nay, the 2018 Utah State Fiddle Champion with the voice of an angel, on fiddle, and long-time friend and former Puddle Mountain Rambler bandmate Matt Ligman on bass. Shupe’s vision for the band is an exercise in creativity; a place where her songwriting can be manifest into a musical moment listeners carry forward. “The unique challenge of brining a song to an audience as honestly as possible through any performance scenario is something that drives me,” Shupe says. “It’s hard, so it doesn’t always feel great, but I always want to try again.” And it shows in her triple threat octave mandolin, claw hammer banjo, and guitar solo shows and her high energy band performances, bringing an amalgamation of the bluegrass she grew up on to elements of folk, Country, rock, and old-time, creating a new flavor of Americana planted firmly in roots music, with subtle pop sensibility and a whole lot of soul. At some point, we all find ourselves surveying the wreckage of our lives—from beneath the rubble. As our eyes seek light and our lungs ache for air, our minds ask how much of the mess is our own fault, and if/how/when we’ll fight our way out. With her solo EP, Presenting Tara Shupe: Destroyer (Prairie Root Records), Salt Lake City-based singer-songwriter Tara Shupe digs out and breaks ground on a new foundation. Born into a musical family with deep roots in Mormonism, two major things in Shupe’s life were predestined. “Playing music was required from ever since I can remember,” she recalls, adding that her father used to awaken his children early for pre-breakfast practice sessions. “There’s pictures of me wearing this bib with the trough to hold the mandolin, because I wasn’t big enough to hold it.” She performed frequently with her family, and eventually joined String Fever with her brother Daron, playing the bluegrass festival circuit (Telluride, Rockygrass, the Grand Targhee Bluegrass Festival, Wintergrass, Greyfox, IBMA Fanfest) and releasing three albums over a 10-year career. Music remained a constant throughout her life. Religion, however, was another story. It’s not coincidentally—or lightheartedly—that the title of Shupe’s album abbreviates to PTSD (Post-Traumatic Stress Disorder). Its six songs assess and process the long-term damage caused by the extensive abuse she endured as a child. Even so, she doesn’t intend to indict the Church. Different people have different experiences; Shupe’s simply sharing hers. Battles are a theme on Destroyer. The lilting mid-tempo tune “Heart to Transcend” views the past through the lens of an elderly Purple Heart recipient. The gentle lullaby “Battle Songs” speaks encouragingly to her younger self (“We must never give up the fight/ I’m with you always”) while also referencing Shupe’s 12-year battle with alcoholism (“wounded soldier, always the next drop to numb”). The brooding but spunky title track uses demons and soldiers respectively as metaphors for PTSD and those who fight it daily. She credits the decision to resume performing to a verse from Bright Eye’s “A New Arrangement”: “So baby, when I call to you/ I want you to come and lay it out for everyone/ Exactly how it was before any of this happened/ And why you can’t leave it behind.” Conor Oberst’s words, she says, “were profound in why I started playing music out at that point.” For the next 14 years, Shupe performed with her own bands (the rock project Shupecabra, acoustic groups Urban Breakdown and Pony Ride), as well as acts like Winter Grain and The Puddle Mountain Ramblers. When Shupe conceived Destroyer in late 2016, she knew that translating these difficult emotions and experiences into songs would take some self-micromanagement. She set deadlines for writing and recording each track, holding herself accountable to the ringer musicians she hired to help bring the tunes to life. Among these players are members of the group FY5, singer-songwriter Eli West, guitarist Mike Robinson, Winter Grain’s Melissa Collins and Tim Neu, and Shupe’s famous brother Ryan (of Ryan Shupe & the RubberBand). 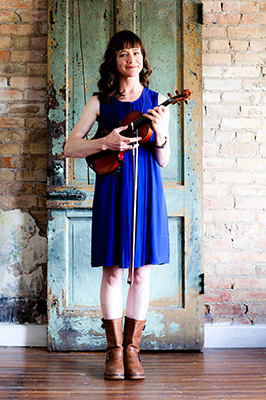 Shupe—who, in addition to singing, played mandolin, fiddle, guitar—self-produced the album, which was recorded over 13 months at various studios: Swing Fingers Studios in Fort Collins, Colo. (with studio owner and FY5 leader Aaron Youngberg engineering), Shupe’s own Prairie Root studio, Birdhouse Recording in Austin, Texas, and Level Head Productions in North Salt Lake, Utah. Presenting Tara Shupe: Destroyer is a brave and stunningly candid expression, and a musical and personal triumph. Rightfully proud, Shupe is eager to promote the album. She’s assembled a bluegrass band and intends to play hometown shows featuring material from both Shupecabra and PTSD. In addition, Shupe plans a late-summer tour of Colorado and hopes to extend that into Oregon and Northern California. Later this year she will produce her second video for the Destroyer album and record more songs with her rock project, Shupecabra. Aaron Youngberg, Erin Youngberg, Ryan Drickey, Alan Cooke, Mike Robinson, Bart Olson, Ryan Shupe, Eli West, Melissa Collins, Tim Neu, Clark Johnson, and Megan Simper.